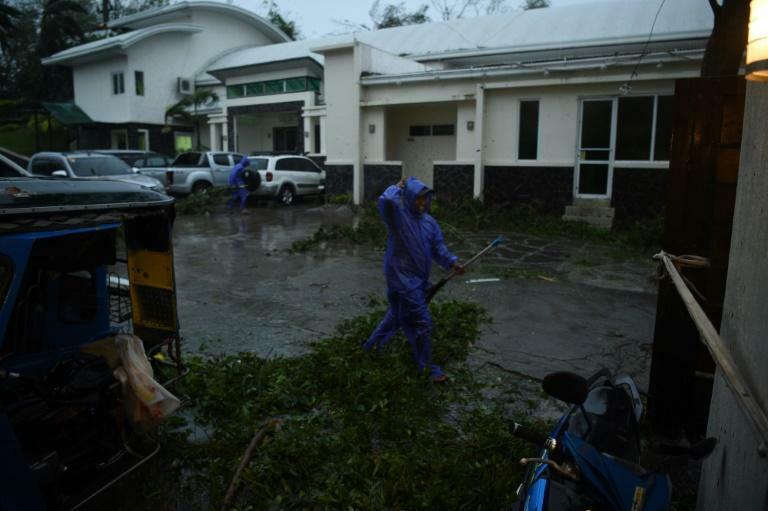 Super Typhoon Mangkhut has smashed through the Philippines, as the biggest storm to hit the region this year claimed the lives of its first victims and forced tens of thousands to flee their homes. 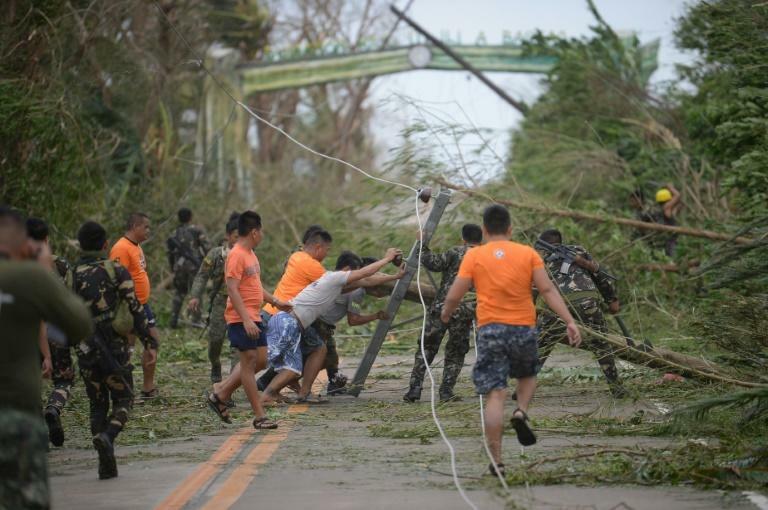 Roughly four million people -- a quarter of whom live on a few dollars a day -- were in the path of destruction that the storm slashed through the northern tip of Luzon island on Saturday, leaving at least eight dead. In the northern town of Baggao, the storm had collapsed houses, torn off roofs and downed power lines. Shell-shocked villagers could be seen picking through the debris from their homes. But the full extent of the storm's destruction was only beginning to be known, with reports of dozens of rain-soaked hillsides collapsing, torrents of out-of-control floodwaters and people being rescued from inundated homes. More than 105,000 people fled their homes in the largely rural agricultural region, which is one of the nation's top producers of corn and rice. 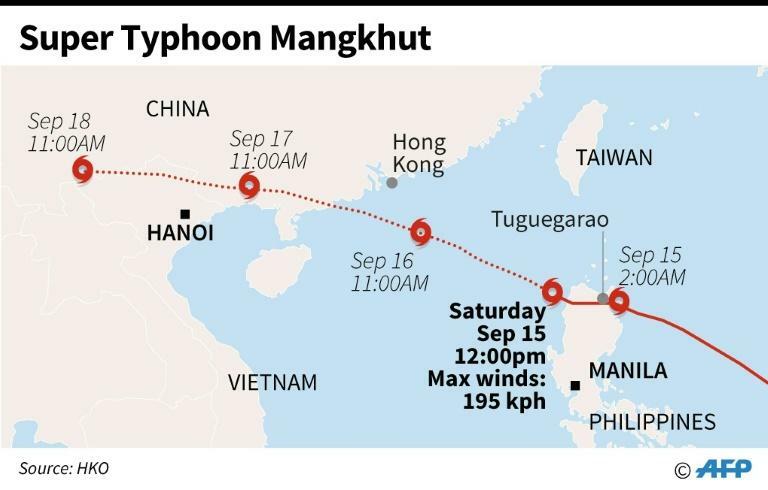 Mangkhut was packing sustained winds of 145 kilometres (90 miles) per hour and gusts of up to 180 km/h early Sunday as it hurtled across the sea towards China's heavily populated southern coast. "Among all the typhoons this year, this one (Mangkhut) is the strongest," Japan Meteorological Agency forecaster Hiroshi Ishihara told AFP on Friday. "This is a violent typhoon. It has the strongest sustained wind (among the typhoons of this year)." Survivors were traumatised by the confrontation with the monster storm. "It felt like the end of the world... that was stronger than Lawin", said Bebeth Saquing, 64, using the local name for Super Typhoon Haima, which was one of the most powerful storms of 2016. "I did not sleep," she told AFP by phone from her home, which stood up to Mangkhut's pounding. As the storm is on pace to hit China's southern coast on Sunday, Cathay Pacific warned travellers that it expected more than 400 flight cancellations over the next three days. Philippine government forecaster Ariel Rojas said that, even though the storm had passed the Philippines, it would continue to bring heavy rain in the country, possibly causing more floods and landslides until Monday. But the storm was unlikely to get any stronger, Rojas said. "It could likely maintain its current intensity or even weaken," he told AFP. The Hong Kong government said Mangkhut will pose "a severe threat to the region." Many residents in the city and neighbouring Macau stocked up on food and supplies. The president of Taiwan, Tsai Ing-wen, told citizens to be ready as powerful waves pounded the shore. "The typhoon is powerful and even (if) it's not expected to make a landfall in Taiwan, we should be well prepared and not... take it lightly," she wrote on Facebook.